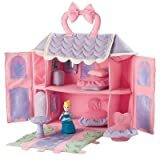 Creating a Cinderella bedroom is a lot of fun for me as Cinderella was my favorite Disney Princess when I was growing up. 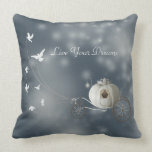 If I had been given a Cinderella themed bedroom when I was younger I would’ve thought I’d died and gone to heaven. A sign on her bedroom door is a great start as it’s a way of saying welcome to your kingdom your highness! I particularly like this first featured (opposite) door sign as it features Cinderella in her beautiful blue gown holding on to a banner. There is another option however with the personalized plastic sign pictured which according to my daughter is nicer (hmmm!). 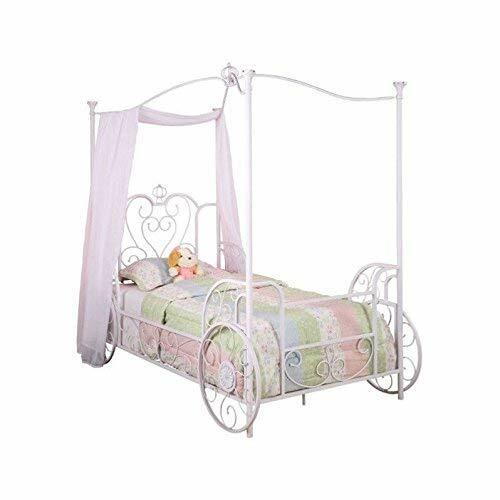 This carriage canopy bed was inspired by Cinderella's tale and would be a fantastic bed for any little princess to have don't you think? The white metal means that it will go with any color and I haven't found a little girl yet who doesn't love the idea of a canopy bed. White or pink are the colors of the drapes you'd usually associate with a Disney Princess canopy, but one of the reasons that I used to love Cinderella so much was her blue dress which means that you can also use blue for the canopy drapes as well - whatever color you go for it is bound to be dreamy, romantic and very 'princessy'. The carriage wheels are just an added bonus so that she can go to the ball as she sleeps! Now if you don't want to buy your daughter a new bed then that's okay most children will just be happy with themed bedding. 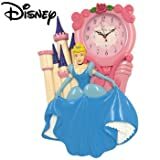 If you do want to get a new bed but you're not sure about this Cinderella bed then the frugal part of my personality would recommend a plain natural wood style one of a plain white one that can grow through all of her stages from Disney Princesses to Hannah Montana and even One Direction! When it comes to what to put on the bed you have so many choices. Cinderella stars with some of her Royal friends – other Disney Princesses on a range of bedding. 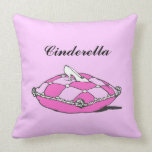 The other alternative would be to use plain sheets and comforter and pop a Cinderella throw over the top. If this Afghan blanket throw isn’t to your (or your daughter’s) taste then you can easily just add some Cinderella cushions/decorative pillows. There are so many to choose from and my daughter always loved having cushions on her bed. One of the classic ways of dressing up walls to reflect your bedroom theme is by using posters and other art work. 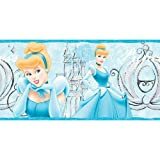 The magic of Cinderella's castle can be brought to life on your princess' bedroom wall with this glitter wall decal. Yet another way to go is to paint the walls and then add a wallpaper border which can look gorgeous - just check out the selection below. One of my friends put a different slant on using these wallpaper borders when she decorated both of her children's bedrooms. She put up a dado rail/chair rail and had wood paneling painted white below the dado rail painting only the upper parts of the wall. Her daughter then had pink paint on her walls above the wooden paneling and a wallpaper border around the top of the dado rail - she went with a fairy theme, but a princess theme would've been just as good. Another aspect of the walls is your light switches and these are easily covered by Cinderella switch plates. Your daughter will find these delightful, the only problem is she may turn the lights on and off for a while as it will seem like a great game! When it comes to the flooring used I always think that a rug can make a room pop and this Cinderella rug is no exception. This rug is the icing on the cake for a Disney Princess Cinderella bedroom experience. Of course although we’re talking about a bedroom a bed isn’t the only piece of furniture that we normally see in here. A Cinderella hope chess at the bottom of the bed makes a lovely touch and also offers some storage solutions (which is never a bad thing). I also like to have a chair in the bedroom, but I know that kids often like to sit on the ground instead and so a beanbag seems like a great compromise especially when you can find a Cinderella beanbag. All bedrooms need some form of lighting whether it’s a bedside table lamp or a nightlight that you like to put in your princess’ room. 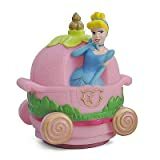 Another option is to purchase a plain pink lamp (or for Cinderella you could use a plain blue lamp) and add Cinderella stickers to the base. I used this idea when my daughter was in to Dora the Explorer and all of the Dora lamps were out of stock – it worked beautifully. 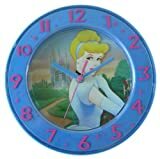 A clock always seems to find it’s way into a bedroom, in my case it’s an alarm clock and in my daughter’s it’s a wall clock, but a clock is also another way in which you can infuse your little girls Cinderella bedroom. Little things like jewelry boxes and snow globes all add a finishing touch to a bedroom. I know my bedroom wouldn’t be the same without a few photo frames to add warmth and a feeling of home to the room. 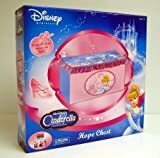 Cinderella ornaments, jewelry boxes, photo frames and snow globes will all help to make your little girl feel that her own personal Kingdom is complete. Last, but not least, how can you have a kingdom without a castle? This beautiful puffy castle is made out of fabric and is an ideal first ‘dollshouse’ for a Cinderella fan. Pop this on the end of her bed or on top of the hope chest so that she spots it when she walks in and it will reward her with hours of play. Alternatively you could just leave a plush Cinderella doll there instead, but I know which I would've preferred! 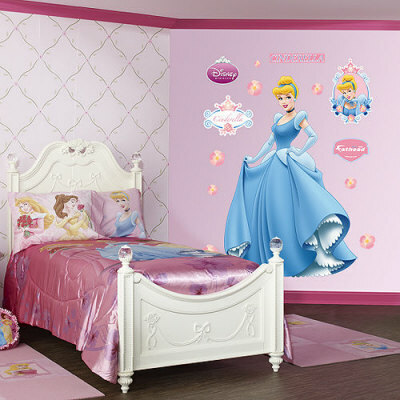 Want More Disney Princess Bedroom Ideas? Disney has so many items for each of the princesses. And, Cinderella will always remain popular.